A SOUL WINNING REPORT FROM SHARON: Recently while Rick was preaching and Heidi and I were giving out tracts in the park, we met a man named Caesar. After a greeting and some small talk, we asked him if he’d ever prayed to give his life to the Lord. “Yes,” he smiled, “two years ago, right over there.” He nodded toward a bench close to where we were standing. “And it was that day the police picked me up and took me to a drug/alcohol rehab center. I spent three months there and I haven’t touched a drop since. Jesus is my Lord.” Later when I told Rick about meeting Cesar, he said he remembered how the man was weeping like a broken hearted child after receiving Christ and right at the moment when the meeting was finishing, up came the police, out came the handcuffs and Cesar was taken away, unbeknown to us, to a place that would help reinforce that which the Lord had started in his life. Please pray that he will become grounded in a church where he can continue to grow. We’re glad some of you have already written to alanhiatt@christiansinaction.org for your free copy of the Christians in Action 50th Anniversary book. We have one sitting on our living room table and its amazing how many people pick it up to check out missions around the world. If you don’t have one yet… please write to Alan for yours! God is so very good. 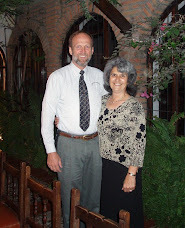 We have talked to our friend Robert Bloemendaal, and he has agreed to come back to Ecuador! 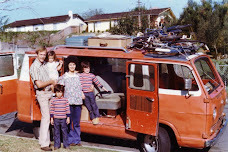 Robert and his wife Mary live in Phelan, CA. They are Calvary Chapel missionaries to Mexico and have dubbed the “Jesus Film” into a number of Indian languages. Since Robert is very busy and it costs quite a bit for him to make the trip, we think it would be best for us to train an Ecuadorian to carry on what he does after Robert leaves this time. It’s won’t be easy, but let’s pray that it will happen. Another thing to pray about is which movies to choose. “God’s Story” is a good one, but they charge $2,500.00 for the master copy and permission to dub it. That doesn’t seem right… Please pray that we’ll find a more missions-minded Christian film producer who will let us do it for free! Whatever God wants, is what we want…so, if we have to pay…we’ll pay. We really want this to become an ongoing ministry. It has incredible potential for the Kingdom. You may remember the “Basic Youth Conflicts” seminars held around the country, well, now Bill Gothard sends out a short daily devotional by e-mail. You can receive it free. Just write to: dailysuccess@iblp.org. I highly recommend it, and like me…I know you’ll be very glad you did.